Our rich product knowledge as well as in-depth process knowledge allow us to successfully understand as well as handle the demands of Reflective Floor Coating Services. These precision coating solutions delivered from our end are designed to provide desired protection against moisture penetration. Backed by rich industry experiences, we are highly engaged in offering an optimum quality Wall Reflective Coating Services. The offered heat reflective coating lessens the ‘urban heat islands' effect, which allows cooler buildings. A cooler building means the lesser use of air conditioners and lower carbon dioxide emission. Our organization is recognized in the industry for offering Solar Reflective Coating Service. As per the needs and requirements of our clients, we are involved in providing Anti-Reflective Coating Service. Backed by highly accomplished personnel in this arena, we are offering Reflective Coating Service. A team of dexterous personnel works in close coordination with our patrons to impart these services as per their needs. Provided services are largely valued amid our patrons for their on-time execution. Reflective surfaces are surfaces that can deliver high solar reflectance (the ability to reflect the visible, infrared and ultraviolet wavelengths of the sun, reducing heat transfer to the surface) and high thermal emittance (the ability to radiate absorbed, or non-reflected solar energy).Reflective surfaces are a form of geoengineering. We are one of the leading service provider or various coating services like Solar Reflective Coating Serivce. Our reflective coatings are used to offer maximum protection to roofs and walls against solar and UV rays, we also provide customization facility. 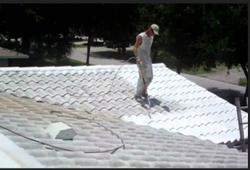 Timely executed Heat Reflective Coating services are provided by us to the customers. 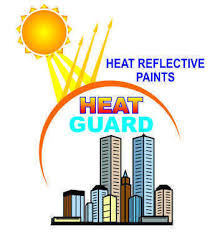 These Heat Reflective Coating services are provided by using advance technology and effective material. Further, our Heat Reflective Coating services are provided under the stringent monitoring of skilled professionals.